For years couples have come together and symbolized the joining of the two families together with a unity candle or even more recently, the unity sand ceremony. Unfortunately, many churches won’t allow the inclusion of the candles in the ceremony, and an outdoor ceremony almost certainly guarantees at least one flame to go out. Wind may not be a factor for the unity sand ceremony but you will find yourself protecting those grains of sand from the slightest shift in movement and becoming a less than attractive mess from your wedding night and beyond. If you do find a way past the wind, the movement, and the bishops, couples find themselves asking where does one end up displaying that symbolic candle or bottle of sand for its own happily ever after? 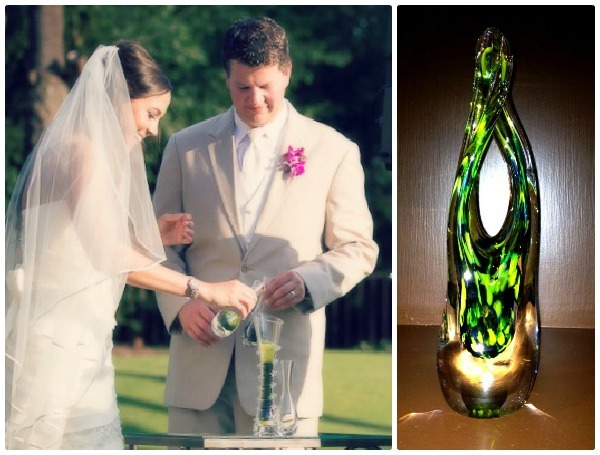 Enter the newest trend in Unity Ceremonies, Unity in Glass. The Fairy Godmothers recently witnessed this ceremony, and the end result is STUNNING!! We just had to share! The unity glass journey started with our couple, Katie and Miles, selecting three colors: one to represent God and one for each of their families. Similar to the sand ceremony, the officiant, the mothers of the bride and groom, and the bride and groom themselves each take their turn pouring their respective colors into a glass vase. Their personal creation shares the same symbolism as other unity ceremonies with the families coming together, supporting the unity of the couple and their marriage surrounded by God’s protection. After the wedding is over is when the real magic takes place. 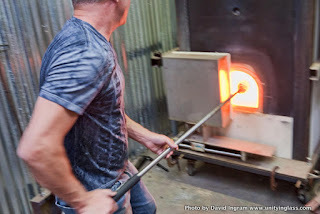 The glass crystals are carefully shipped to glass artist, Lee Ware of Unity in Glass where he carefully creates a unique piece of art in his studio. The final result evokes the emotion shared on the couple’s special day and will last a lifetime proudly displayed in your home. 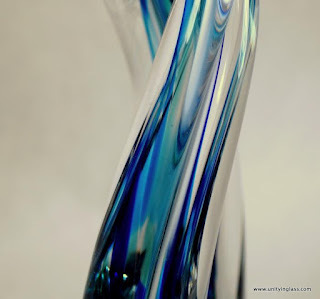 There are endless possibilities to make the sculpture even more personal to you. Blended families coming together can include their children in the ceremony and choose colors that represent each of them. A special family member that has passed can be included in a color. Recently, Lee created a glass piece that included bits of sand from the beach where the couple was married. Later he will be creating a sculpture that includes grains of sand from the beaches another couple visited on their honeymoon. 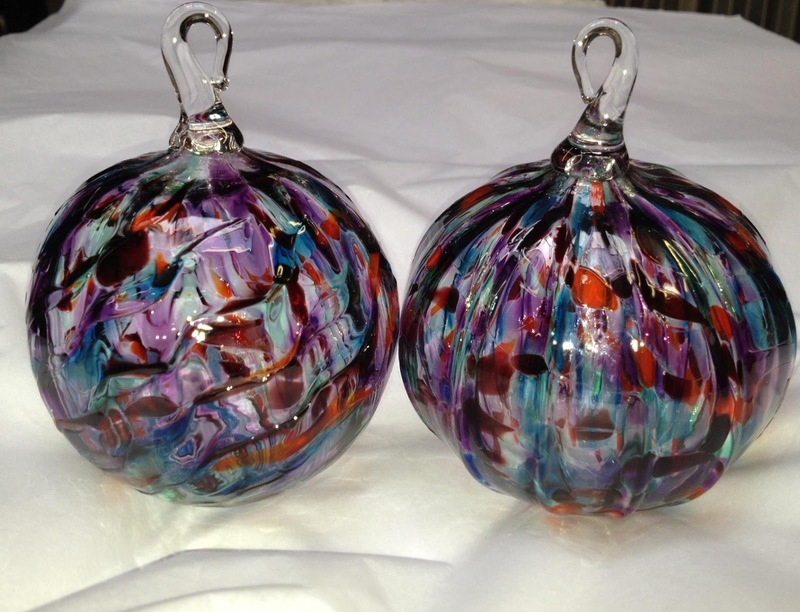 Our favorite idea was this pair of Christmas ornaments featured on the Unity in Glass Facebook page. A perfect and sentimental parent's gift! 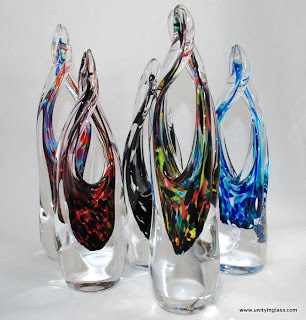 We can’t think of a more elegant and personal way to symbolize the start of a lifetime of love than creating your very own unique sculpture formed with Unity in Glass!